The program rules are that you get one night free (but you have to pay taxes on what the night would have cost) after you stay 10 nights at eligible hotels. There is no discount for having fewer than 10 nights accumulated. Here you can see I've got 4 nights out of 10. But this doesn't get anything until I stay for 6 more nights. How free nights are redeemed at hotels.com? 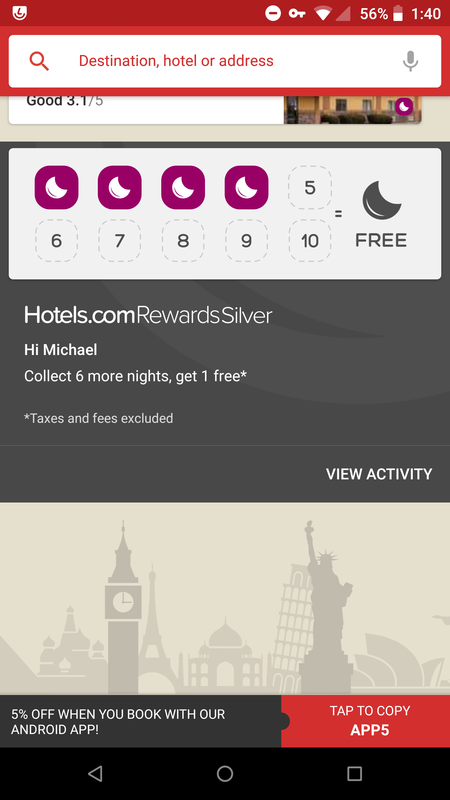 How to change my loyalty program online before check-in?